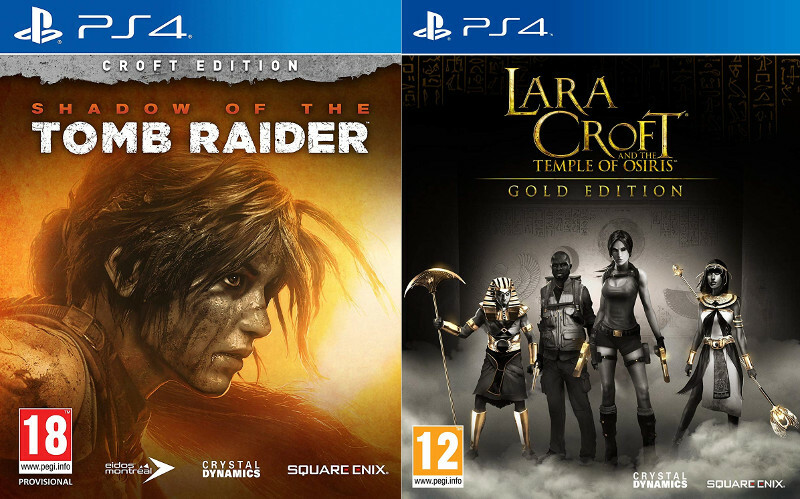 Looking for a gift for the 'Tomb Raider' fan in your life? Here are some of Tomb Raider Horizons' tips for Christmas 2018! The holiday season is almost upon us once more and that means it’s time to raid your wallets and search for the ideal gift for the Tomb Raider fan in your life. From novels to action figures, from artbooks to cute little stocking fillers, you’ll find something here to suit any taste or budget. Here are Tomb Raider Horizons’ gift recommendations for Christmas 2018! 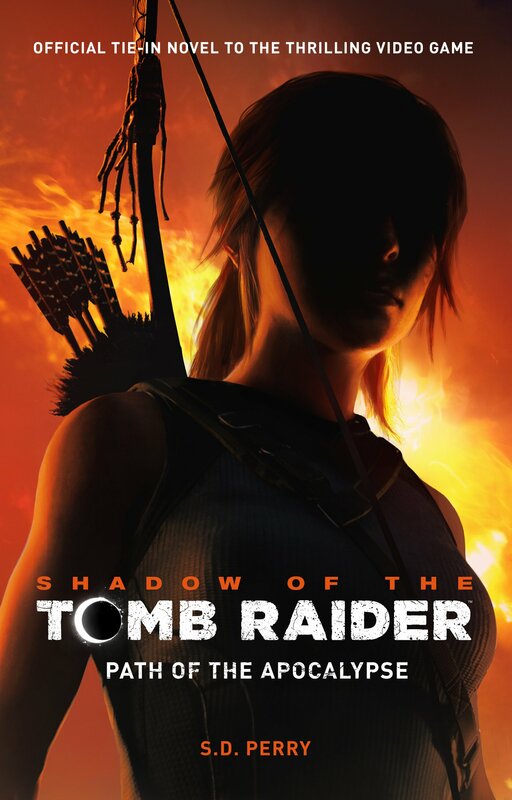 Shadow of the Tomb Raider (2018) – The final installment in the reboot trilogy, Shadow of the Tomb Raider sees Lara Croft racing against time to save the world from a Maya apocalypse. Although the game has had mixed reviews, it’s a must-play for fans of the franchise and has enough puzzles, quests, and challenges to keep gamers busy for hours. A season pass (included with the Croft Edition or sold separately) offers several months of downloadable content, including new challenge tombs, outfits, game modes, and skills. A word of advice: Shop around before you buy the game because it’s sometimes cheaper to buy the standard edition and season pass separately than to buy the Croft Edition. 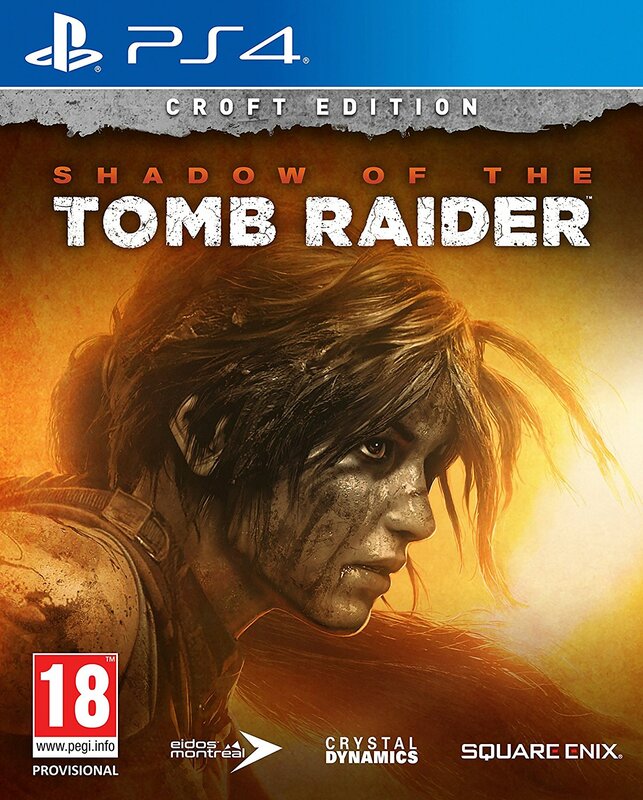 You can buy Shadow of the Tomb Raider over on Amazon or Amazon UK. Lara Croft and the Temple of Osiris (2014) – Released in 2014, Lara Croft and the Temple of Osiris is an entertaining, arcade-inspired adventure that can be played solo or with up to three friends online. Light-hearted and puzzle-centric, this game is perfect for those Tomb Raider fans who miss the old dual-pistol-wielding Lara of yesteryear. You can buy this game over on Amazon or Amazon UK. Caution: If you’re buying a game for a friend or loved one, make sure you purchase the right version for their gaming console and region. Games bought via Amazon USA might not work in the UK and Europe (and vice versa). Please note that Shadow of the Tomb Raider is not suitable for gamers under the age of 18. Tomb Raider (2018) Blu-ray – Lara Croft returned to the big screen this year after a 15-year absence, this time in the guise of Oscar-winning actress Alicia Vikander. The film is loosely based on the bestselling 2013 reboot game and the Blu-ray includes a number of short features that go behind the scenes with the film’s cast and crew. The film is by no means perfect but if you’re a fan of archaeo-adventure films in the vein of Raiders of the Lost Ark, you’ll likely enjoy this one. You can buy this film over on Amazon or Amazon UK. 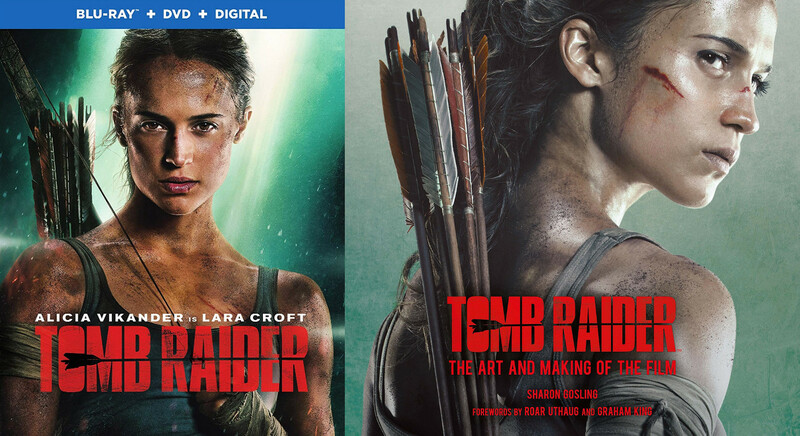 Tomb Raider: The Art and Making of the Film (2018) – Penned by Sharon Gosling, this hardcover book is packed with exclusive concept art, photos, behind-the-scenes information, and interviews with the film’s cast, crew, and artists and is the perfect companion to the 2018 film. The ideal gift for someone who enjoyed Vikander’s cinematic debut as Lara Croft. You can buy this book over on Amazon or Amazon UK. Note: Please note that the film is rated 12/PG-13 and that region 1 discs bought via Amazon USA may not work on Blu-ray players in the UK and Europe (and vice versa for region 2 discs). Please ensure that you purchase the correct version for the region you or the recipient live in. Shadow of the Tomb Raider: The Official Art Book (2018) – Want to learn more about the art and cultural influences seen in Shadow of the Tomb Raider? This official art book is full to the brim with stunning concept art, character designs, developer interviews, and information about the work that went into crafting Lara Croft’s latest adventure. You can buy this book over on Amazon or Amazon UK. Shadow of the Tomb Raider: Path of the Apocalypse (2018) – This tie-in novel by S.D. Perry takes place shortly after Lara has unintentionally triggered a Maya apocalypse in Shadow of the Tomb Raider and fills the narrative gap between the tsunami in Cozumel, Mexico, and Lara and Jonah’s journey to Peru. Although Tomb Raider novels generally get poor to mixed reviews, this latest paperback adventure has received positive reviews from those who have played the game. You can buy this novel over on Amazon or Amazon UK. Archaeogaming: Introduction to Archaeology in and of Video Games (2018) – This academic textbook by archaeologist and gaming enthusiast Andrew Reinhard serves as a general introduction to the field of “archaeogaming” and explores a variety of topics, such as the study of video games as artefacts, the portrayal of archaeology and archaeologists in video games, and the study of video game culture. You can buy this book over on Amazon or Amazon UK. Art of the Andes: From Chavín to Inca (2012) – It’s clear that Shadow of the Tomb Raider has borrowed a lot of cultural and artistic elements from Peru and Bolivia and if the game has sparked a desire to learn more about these, this book by Rebecca R. Stone is a comprehensive guide to the pottery, painting, metalwork, and textiles of the Inca, Nasca, Moche, Chimú, and other Precolumbian peoples of the Andes. You can buy the book over on Amazon or Amazon UK. The Art of Mesoamerica: From Olmec to Aztec (2012) – And if the cultures of Mexico and Central America have captured your interest, Mary Ellen Miller’s guide to Mesoamerican art is essential reading. From the Olmecs to the Toltecs, from the Maya to the Aztecs, this book explores centuries’ worth of artistic, cultural, and architectural achievements. You can buy this book over on Amazon or Amazon UK. 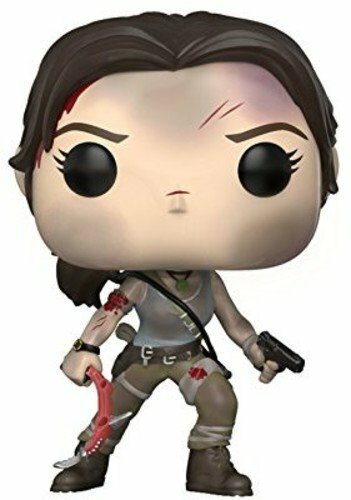 Classic Lara Croft Funko Pop! Figure – Funko’s highly stylised bobble-headed Pop! vinyl figures have taken the world by storm so it’s only natural that they’ve also given the Tomb Raider heroine the Funko treatment. This Classic Lara figure stands almost 4 inches tall and is armed with her iconic dual pistols, braid, and backpack. You can buy this quirky bobble-head figurine over on Amazon or Amazon UK. Reboot Lara Croft Funko Pop! 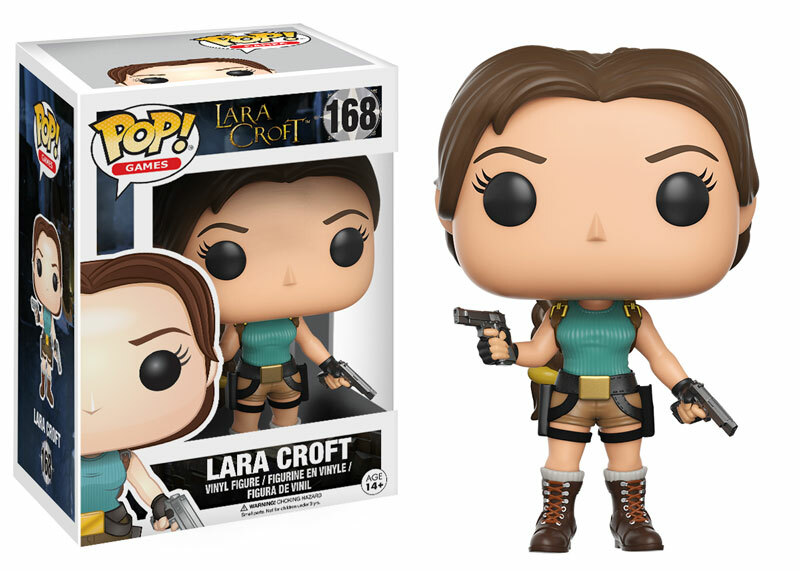 Figure – It goes without saying that this Funko Pop is modelled after the Reboot version of Lara Croft as seen in the 2013 game, complete with red climbing axe, gun, and bandaged limbs. You can buy this Funko figure over on Amazon or Amazon UK. Classic Lara Croft Rock Candy Figure – And if the Funko Pop aesthetic isn’t your cup of tea, you may enjoy Funko’s Rock Candy version of Classic Lara Croft instead. This cute 5-inch tall vinyl figure is equipped with Lara’s trademark dual pistols and cheeky smirk and can be bought via Amazon or Amazon UK. Lara Croft Barbie Doll – For those who prefer traditional dolls and action figures, there is Mattel’s Lara Croft Barbie doll, which was released in February to celebrate the 2018 Tomb Raider film and the franchise’s two-decade-long history. Based on Alicia Vikander’s interpretation of the iconic heroine, this fully-articulated doll dons a similar outfit to that worn by Vikander and comes with a range of accessories inspired by the film: a map of Yamatai, a journal marked with the initials R.C. (for “Richard Croft”), and her trusty red climbing axe. You can buy this doll over on Amazon or Amazon UK. Pixel Pals Classic Lara Croft – Shine a light in these cold, dark winter nights with this light-up pixel-art rendition of Classic Lara Croft. Licensed by Square Enix, this is just one of the figures available in SE’s Pixel Pal range and is powered by a couple of AAA batteries (which are NOT included). You can buy this shining star of the video game world over on Amazon or Amazon UK. Pixel Pals Reboot Lara Croft – Almost identical to the Classic Lara Pixel Pal, except this one is a light-up pixelated rendition of Reboot Lara. Sadly, this version was not available on Amazon UK at the time of writing but it can be found over on Amazon. Shadow of the Tomb Raider 3D Maya Mug – Even Tomb Raiders need some caffeine to fuel their days and what better way to drink your hot beverage of choice than in this officially licensed 3D ceramic mug inspired by the Maya art seen in the game? A word of caution: This mug is NOT dishwasher safe so make sure you’ve already unlocked your dish-washing skills. You can buy this mug over on Amazon or Amazon UK. Shadow of the Tomb Raider Wallet – Show your love for Lara Croft’s latest video game adventure by carrying around your valuables in this officially licensed wallet. Made from high quality cotton canvas and padded leather, this wallet has ample room for your coins, bank notes, and cards and is inspired by elements of Lara Croft’s outfit. You can buy this badge over on Amazon or Amazon UK. Tomb Raider Collectable Pin Badge – Last but not least, if you’re looking for a small token that celebrates this decades-long franchise, how about this collectable pin badge modelled after Lara Croft’s appearance on the cover art for Tomb Raider (1996)? You can buy this badge over on Amazon or Amazon UK. If you still haven’t found what you’re looking for, you can find even more gift ideas listed in my article Great Gifts for the ‘Tomb Raider’ Bookworm. 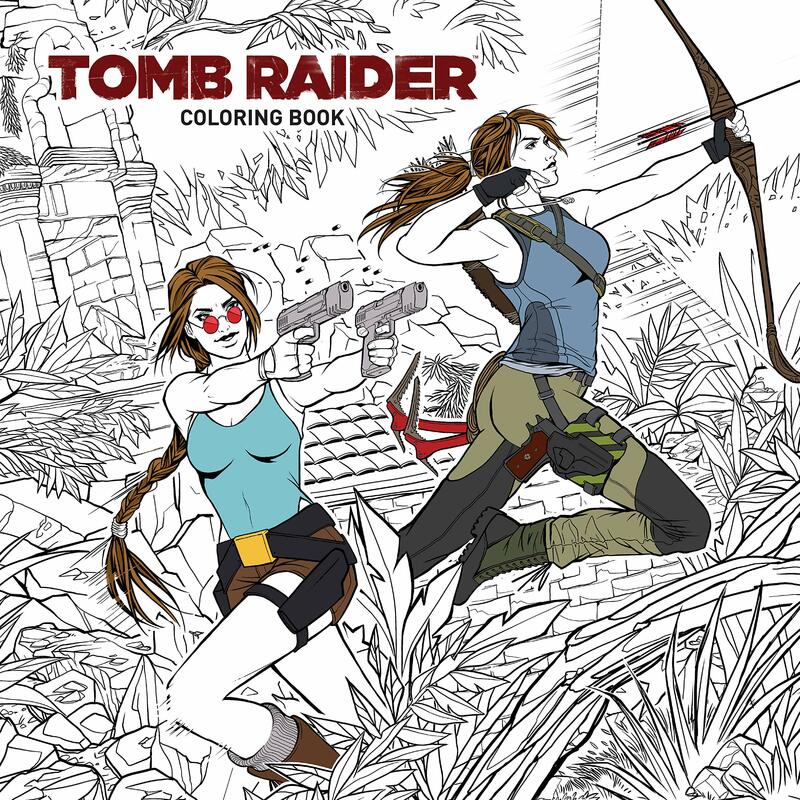 The official Tomb Raider Colouring Book is another great gift idea for aspiring artists but, sadly, this will not be released until January or February 2019. All of the information listed on this page was correct at the time of writing. Tomb Raider Horizons is a participant in the Amazon Services LLC Associates Program and Amazon EU Associates Programme, affiliate advertising programs designed to provide a means for sites to earn advertising fees by advertising and linking to Amazon and Amazon UK. thank you for all the great content you created in 2018. I know that you had some struggles with keeping the site running and finding the heart to deal with all the adversity that comes with being visible in the community. Still, I always think of your blog as a sanctuary in the virtual world and I am happy that you decided to keep going. I wish you, your family and all your readers a merry christmas and a happy new year. I hope you’ve had a wonderful Christmas and wish you all the best for 2019.